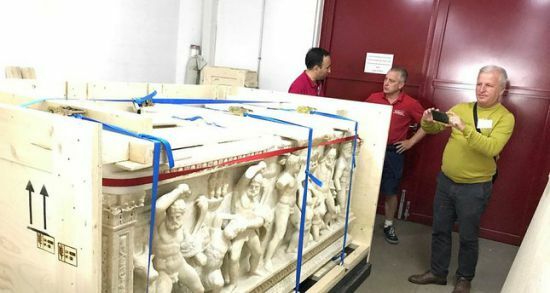 The Turkish Culture and Tourism Ministry announced Sunday that the sarcophagus of Heracles has been handed over to Turkish officials by Swiss authorities in Geneva and will be returned to its homeland in Antalya, Turkey on 13th September. The tomb of Heracles, which dates back to the Roman period in the second century B.C. and depicts the Twelve Labors of Hercules, was confiscated in 2010 by the Switzerland customs authority at the port of Geneva. The tomb was delivered to the customs area on September 6 and will soon be moved to Zurich to be returned to Turkey on a September 13 cargo flight after an official deal is signed by both Turkish and Swiss authorities. 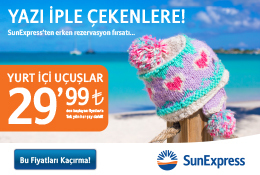 Turkish ministry officials said safety measures were put in place to ensure the tomb's safe arrival to Turkey. Th tomb, discovered during illegal excavations in the 1960s in the Aksu district of Antalya at the necropolis of Perge, will be exhibited at the Antalya Museum Directorate. With the consensus of both countries, the tomb was exhibited at Geneva University for three months before being returned. With a height of approximately 135 centimeters (53 inches) and width of 112 centimeters, the 3,000-kilogram (6,600-pound) tomb has been dubbed "Torre Nove" in archaeological literature.